Macrium was one of the first to release a free version of its backup software. Ten years later, to the benefit of users everywhere, Reflect Free 6 remains a stable, reliable way to quickly image and restore your system. It doesn’t offer as much functionality as Aomei’s Backupper, but there’s something to be said for a backup program that hasn’t failed its fans in over a decade. Though Reflect is a bit old-school in appearance, the look somehow works better with the free version. Fewer options, less clutter, cleaner lines. 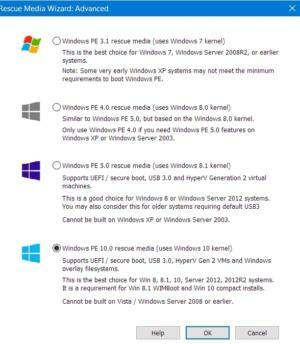 Reflect Free is limited to imaging disks or individual partitions (no cloning, file backup, or other choices), but there’s an option to select only those partitions required to restore the Windows operating system. If you want file and folder backup, you’ll need one of the pay ($70 or more) versions. Same deal with incremental backup, though the free version does support differential (all changes since the initial backup). Note that even the pay versions back up only folders, not individual files. You can always drag files to a folder, but it’s still a slightly puzzling omission. 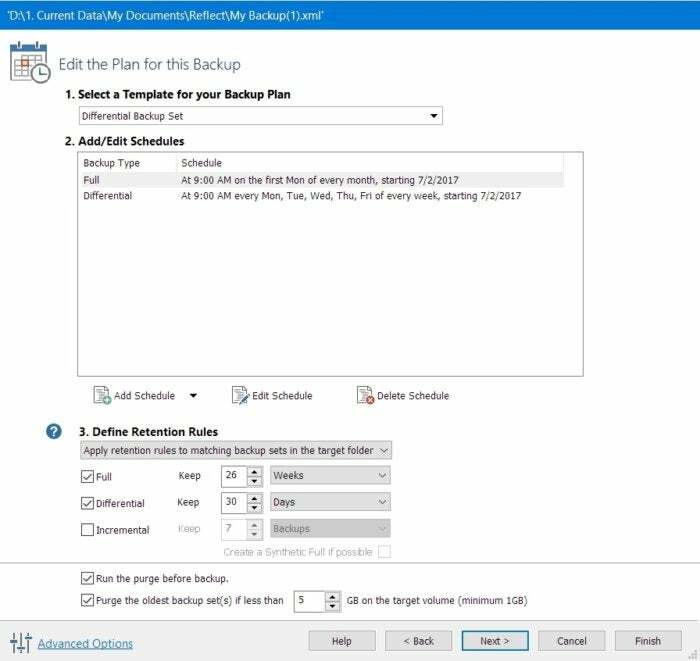 You may not be able to back up specific files or folders with Reflect Free, but there are extensive scheduling options and retention rules (how long to keep and what to delete when space is low), and jobs are saved as standard XML files. Password protection and email notifications are available only in the pay versions. Reflect Free supports both MBR and GPT disks (it was late to the GPT game), and it has a great boot media creator, which lets you change flavors of Windows PE to best suit the operating system being backed up. 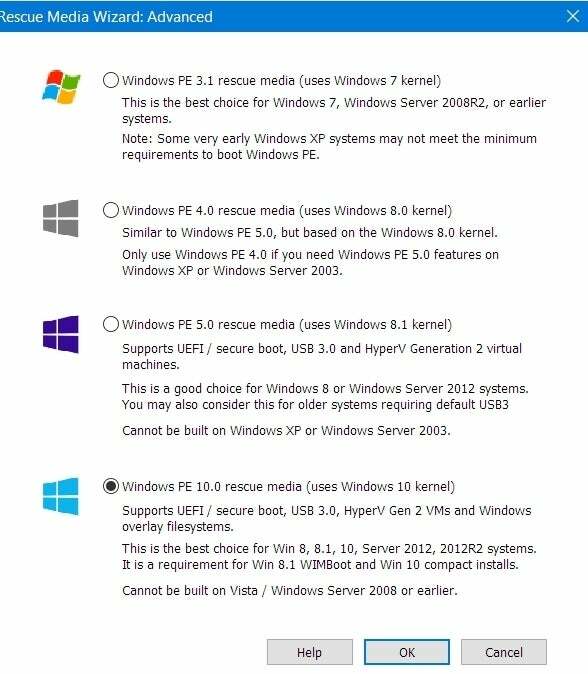 It also lets you choose the drivers you want to install. PE allows driver injection (adding them at restore time), so you’re likely okay there anyway. Macrium claims increased performance for the latest version 7, of which a free version is promised soon. That might be nice, as Reflect Free 6 took just over nine minutes to perform our 115GB system backup. That’s about two minutes slower than any of the competition, though CPU usage was minimal. Backup generally takes place during off hours or in the background, so we don’t lend performance a lot of weight in our evaluations. If all you want to do is image your system or data, then Macrium Reflect Free 6 is a great way to do it. We’ve been using it for seemingly forever, and it’s never let us down yet. That counts. 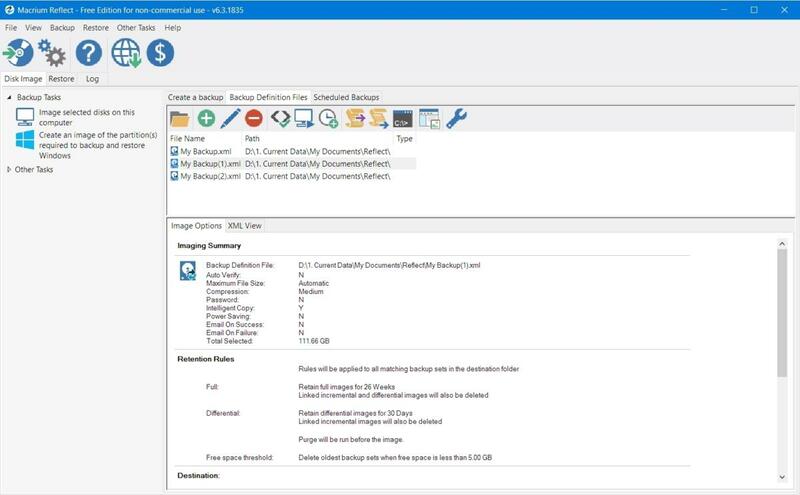 If you want sync or plain file copying, then look at the equally free Aomei Backupper Standard or Paragon Backup & Recovery. There’s no rule against having more than one backup program installed.